There are more than 200 different funds on the IU South Bend Campus. These funds benefit our students through scholarships and learning opportunities. Many funds exist to support departments and programs. And, as the IU South Bend campus continues to evolve and grow, we offer you the opportunity to support vital capital projects on campus. 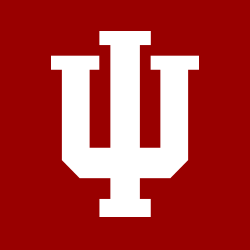 Click to see available IU South Bend accounts. You can make a gift to an existing fund, in any amount that you wish. All gifts are deposited into IU South Bend accounts as intended. 3. Payroll Deduction is a simple way for IU South Bend faculty and staff to make payments toward any gift. Initiate a payroll deduction. 4. Planned giving options are available. For more information about setting up a planned gift to benefit IU South Bend, please contact Dina Harris at 574-520-4131. Indiana residents contributing to IU South Bend through the IU Foundation qualify for the Indiana tax credit. For a couple filing jointly, a $400 contribution reduces their Indiana tax liability by $200. For an individual return, a $200 membership would reduce the donor's liability by $100. Those who itemize deductions may deduct 100 percent of all charitable contributions subject to the general limitation of 50 percent of adjusted gross income. Consult your tax advisor for specific information.